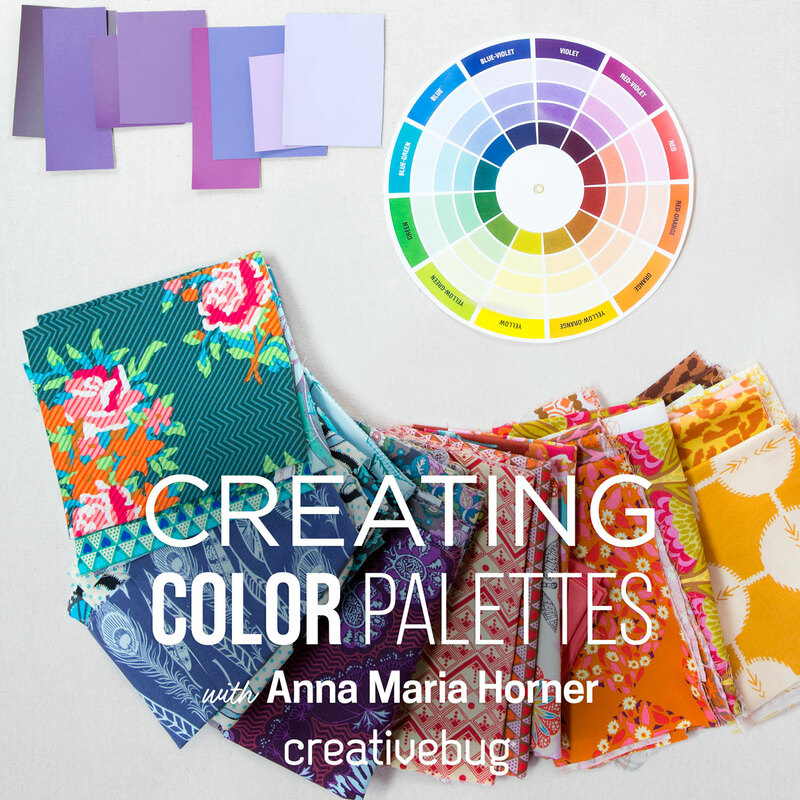 Anna Maria Horner: Handmade Beginnings! I finally get to say my new book is here!!! I am so, so happy with this sentence, you have no idea. The above photo was taken just about 2 weeks after Roman was born. I was unbelievably tired that day, barely able to keep up with the photo shoot that went on for a few hours all around our yard with all the kids going in all directions, and the new one, both of us actually still so fragile. Days later I found the smallest of moments to sit and gaze upon the photos we got. And this one. I cried. I couldn't take it. All those little souls still entranced in the newness of their little brother. Either that or I was threatening them from behind the lens....erhh both. Anyway, its nice to sit back and enjoy the book now too. To celebrate today, I wanted to not write another book about my book but to share the introduction with you. Then, of course I'll be sharing a lot more soon. The book is now shipping from my studio, amazon, and all other points around the globe! Every family has a story. Each time we've welcomed a new baby, the story of our own family has a new beginning. Our children have brought more than their own chapter to our story, but they have, in fact, rewritten the rest of us. The whole family, together and individually, is remade into something it wasn't before- something we wouldn't have ever guessed or expected. I have always felt compelled during my pregnancies to make items for the new one. Similar to the quintessential image of an expectant mother working away with her knitting needles on a pair of baby booties, I set out to stack fabrics and ideas in high piles that I can work through as my belly grows. Perhaps its just the typical nesting that all mothers go through, or maybe its nervous energy. Whatever the explanation, answering the desire to create as I await a new baby seems to be my own way of nurturing. What has taken me precisely six children and countless handmade items to realize, is that this sewing, or nurturing, which is intended mostly for the baby or our home, perhaps benefits me more than any one in the family. Slow hand-stitching forces me off my tired feet and allows me to pay attention to the subtle bumps and squirms of the little one within. Running my hands over potential fabrics for the baby's clothing to check for softness sets my mind into daydreams of what color eyes or hair the baby might have. Using what brain power is still available to me while pregnant, I ponder the design of a nursery quilt which gives me less time to ponder those natural fears and doubts that come with motherhood. All this to say- sewing while expecting has kept me healthy, centered on what matters- more joyful than not. It goes without say too, that all this sewing has outfitted our babies, beds, toy shelves and home with beautiful items that are well loved and often tucked away for safekeeping. While most of my experiences with sewing to welcome a baby involve being the mama, this book does not ignore everyone else in the baby's life! Dads, brothers, sisters, adoptive moms, foster moms, and all...this book and its projects are for you too! I hope that the ideas I've sewn and written here inspire the work of your hands and the work of your heart. And I hope that you continue to reach for this book every time to you hear the good news of a baby on the way. What a beautiful family you have, congrats on the book. I can't wait to see it. Congrats!!! I love that picture! I am so happy for your accomplishment. However, I am a bit uneasy after reading this post, as I think I may have spontaneously ovulated... oh dear. You are so talented, and so very inspiring, but this is too much!! Can Not Wait to buy this book!!! Ohhh, Can't wait to get mine. I pre-ordered and it should be hear in a few days. Congrats! You are truly an inspiration - thank you! Yeah!!! I can't wait to get the book! You and your beautiful family are such an inspiration. Thanks for continue to share with all of us! So beautifully stated. I can't wait to get my own copy and start on the projects. I got my copy (from Amazon) yesterday and I love it. I can't wait to start sewing for my own little one. I'm just disappointed in one thing... the Mama clothing patterns are too small for me and I had so been looking forward to making the Mariposa dress for myself. I'm not familiar enough with clothing sewing to enlarge the pattern for myself though. Congratulations on the book! That is such a beautiful photo. Congratulations! Can't wait to see it. I knit and sewed for all 7 of my babies (who now range in age from 9-28) and still do! Currently working slowly on a Bo Peep and a Prairie Blouse for my 9yo. Slowly b/c she has a Hello Kitty Janome so she's doing a lot of the sewing. Chris, email me and I will be happy to help you out with adapting the patterns!! HOORAY!! Congratulations on ALL of your hard work. I got mine yesterday in the mail and it's beautiful! Can't wait to get my hands on this book! I so much enjoyed your introduction and I totally agree...the nesting instinct is so powerful for a reason: it helps everyone! Congrats! What an adorable family photo! Your book just arrived and I can't wait to dive into it. Also, I am in love with that sofa. and what a gorgeous photo - it doesn't get any better than that. Woohoo! Congratulations. I have been waiting for the realese of the book. I have no little ones. Currently I am just a nineteen year old college student who just love sewing baby clothes for my friends and family. Ohh I can't wait. A beautiful family! Congratulations on the book. I liked your last book and can't wait to see this one. oh how I LOVE this book!!! I got it in the mail yesterday and brought it to the sewing class that I taught last night...and all my students were sooo delighted with it! One student got online and ordered her own copy right then and there! Thank you so much for another wonderful book with so many fabulous patterns. You rock! I loved that photo of your kids the first time you posted it, so touching! Congrats on your book...you were one of the cutest pregnant persons I have ever seen...I saw you at market and your book cover is the greatest! So excited to see the inside! I've been waiting for this book for a while, and have it on pre order, so now I'm all excited! Your intro made me cry, you describe so beautifully just how I feel when I'm preparing for a new baby, how I'm compelled to sew, and how it forces me to contemplate. Sewing for my current growing belly has been bittersweet since my last baby sadly died just hours after her birth last summer, but I never regretted sewing for her, and I'm finding comfort in sewing for this baby too. Yay! I am 12 weeks pregnant with our 7th, so I can't wait to dive into this book! What a beautiful introduction. Wow! The picture is beautiful and the introduction from your book is really touching. Congrats! You and your children are beautiful. I'm looking forward to your book! Your book arrived in our shop today, and it is just, just lovely--even better than what I had hoped and expected, and that's saying something (because we all have semi-secret girl crushes on you over here). 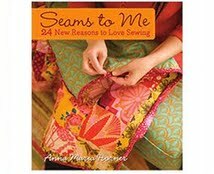 I can sincerely say that this is the first sewing projects book I have EVER encountered from which I want to sew each and every project. I would be proud to own or gift absolutely any one of them, and fully plan to stitch as many as my hands will permit. With a scant few days left to go before the birth of our fourth baby, I feel like I got a shower gift just from you, and I'm really thrilled. Another amazing piece of work out of you, lady! Thanks for putting in all the time and effort and inspiration--I'm super excited to get sewing! I just got my copy and it's wonderful! Thank you for making some cute nursing-friendly patterns. My two little ones are 15 mos. and 1 month old, so I've been living in nursing or maternity wear for two years straight; now I can sew my own! Blessings to your family, they are beautiful! I pre-ordered mine last March and just received it yesterday...it's beautiful as to be expected! Congratulations Anna! I know I posted a comment ...yesterday...? but I have probably read/flipped through that book at least 4 times since then... I just can't believe that I actually want to make each and every one of those things! My hubby and I are trying for our second child... and I've been so jealous of all those friends of mine who are currently pregnant... but now I am excited because I have something productive to do for them! Their babies will be so snazzy in their handmade stuff! Thanks! You are an amazing and creative woman. I'll be ordering my copy from Amazon. Well done! Congratulations! I preordered my copy and received it yesterday. I'm already working on the nursing top (SO cute!!! Can hardly wait to have it done) Well done! Love your work! So lovely and so needed for me to read today. I have been eagerly anticipating your book but also unsure if I should buy it, because... we lost our baby 6 months ago during birth and I am now 4 months pregnant. We had the 20 wk ultrasound today and I was so scared, but God has given us a healthy baby boy at this point. I have been slowly beginning to dare to hope and dream again but I'm scared to because I dont want more pain. Coming home from the doctor and reading this post, felt like one more little sign telling me it is ok to hope, it is ok to dream, anticipate and prepare. And you are so right about the making of handmade things for the baby being so good for us moms. I have always created, art, photos, crafts and sewing but life had gotten busy and I found myself creating less. After losing my son the only thing that brought happiness besides my other two children and husband was making something beautiful. During this new pregnancy I have thrown myself into creating because it does help me to focus on what is lovely and productive instead of losing myself to grief and fear. Finding your blog was a huge inspiration to me to express this creative journey and now my blog is proof to me everyday that I am trusting God and growing in this difficult time instead of letting it destroy me. Many blessings to your beautiful family and I am so excited for your book! I eagerly flipped through your book when it arrived in the mail yesterday. So inspirational and fun! I recently had twin girls and am looking forward to making lots of projects for them. Thank you! congratulations, congratulations. You are an inspiration. What a wonderful picture...I can't wait to see your book. It actually came today! I was so happily surprised - already started on the Scrappy Nap Pillow!!! Love it all - thank you! I just ordered your book. I can't wait to see it! We've got a little one on the way and I always feel the itch to sew even more intensely when there's a little one to dream about. Congratulations! Your book looks amazing! And what a wonderful idea to share the introduction here with your blog readers. 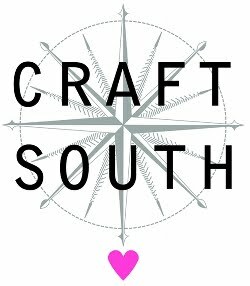 Hope to meet you at Spring Quilt Market! Congratulations!! And, oh my - that intro just really got me. So beautiful. I preordered my copy from Amazon and can't wait for it to arrive! Thanks so much for sharing your wonderful ideas with us! You are quite an inspiration! Take care! This is going to be my Mother's Day gift! I just can't wait. Thank you so much Anna Maria for the joy and beauty, for your hard work. Take care!! With four boys in tow currently, I'm inspired (and feel less crazy) to want more, seeing that it truly is a gift that nourishes the creativity within rather than strips us of it! so happy for you and can't wait to get my hands on it!!!! How do you look so gorgeous two weeks after having a baby!!!!? Congrats on the release! You have a beautiful family!! I can't wait to get a copy! I have to say the intro makes me want to have another baby asap! Congratulations! 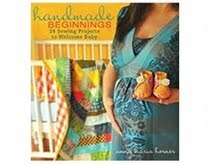 I agree with MommaSkye, it's all about having another baby ;) I can't wait to get a peek into this book! I received my book a couple of days ago from amazon and I'm eating it up! We're expecting our first little one (baby girl) in 3 months and my fingers are just itching to make so many of these projects. Brilliant! Thank you for the inspiration and for sharing glimpses of your beautiful family. Congratulations! I hope you enjoy celebrating the release of your (inspirational)new book - I'm really looking to making some of the projects for baby number 3! This is so exciting!! It must be an amazing feeling of accomplishment. Congratulations! Congrats on the book and your beautiful family! Congrats, Anna Maria. I have posted a comment on my blog about it inspiring others to order an autographed copy as I did. Here's the link: www.apeyleedesigns.blogspot.com. your family. your artwork. clothing. flowers. colors. I got my copy from amazon on tuesday and i absolutely love the book! now i will be really busy the next few weeks, my second baby is due in four weeks. so it came out just in time! I was excited when my book arrived earlier this week! I have already started the "Cute-as-a-button booties" and the "Baby-in-the-hood jacket". I volunteer for The Preemie Project and am planning on modifying the design for the booties by making them a smidge smaller and making a tab (instead of the elastic/button combo), for velcro. This way they will safe for the preemies at the hospital. Wow! What an exciting time for you and what a relief to have a little more time with that gorgeous family of yours! I've just ordered my copy, so I'll wait by the letterbox until it arrives. Thank-you for being so inspiring. It looks like another wonderful book...congratulations. I have to admit I am awestruck! Hope you and yours are taking some time to enjoy the fruits of your labors...you deserve it! Here's a red-faced blog post about the book. (http://pearlthesquirrel.blogspot.com/2010/04/queen-of-fecundity.html). Bought it! Perfect timing, too, since I'm so aggravated that there aren't any cute maternity patterns out there... merci beaucoup! You had this picture as the lead on your blog for a while and I was disappointed when the picture changed. It sort of makes me teary too - and I'm not even related nor do I even know any of you. It's just a wonderful photo of your kids. Your book just came into my store today. I didn't know it was coming and what a welcome surprise when I opened up the box! It's beautiful! Congratulations Anna, with your book AND with you family! That is photo is very, very nice! A week ago I finally could touch some of your fabrics for the first time! And of course I bought them. They are not easy to find here in France. I'll make some sunny pants with them for my daughters! I can't wait to get this book, it looks just lovely! What a beautiful sofa ... as well as the family. 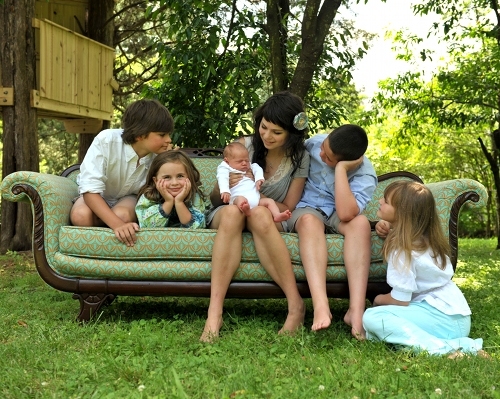 I like this photo.The family seems so close and I love the sofa. The new born baby was the celebrity here.I like how the sweetness was captured here to the family. Awesome post!!! Really enjoyed this post. But I want more information on such valuable topic.